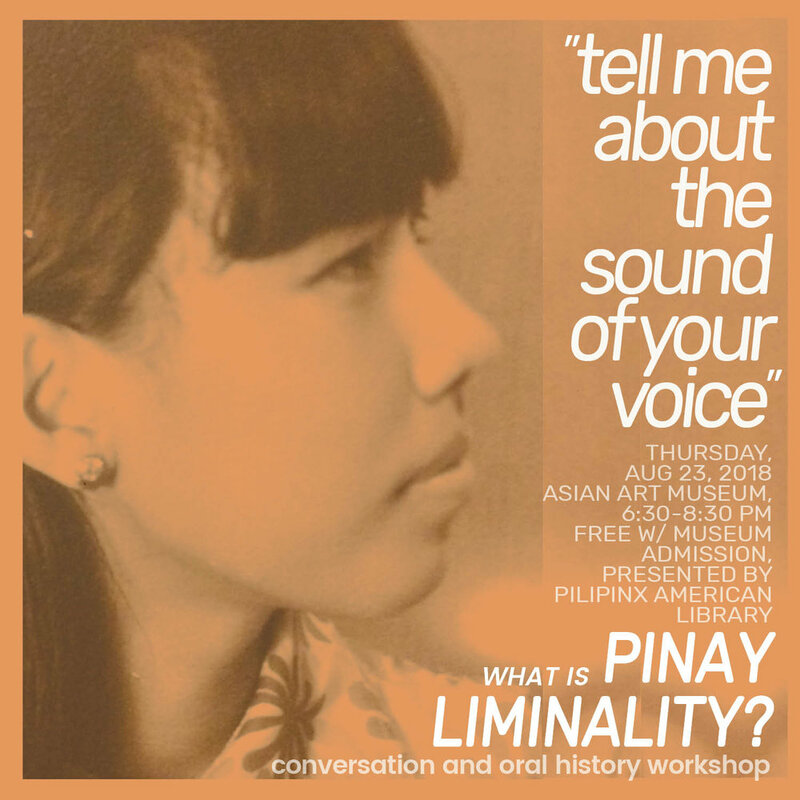 Pinay Liminality is an oral history project that seeks to preserve the personal narratives of Filipino-Americans navigating the 'in-betweens' of identity. By recording our stories of liminality, we document the multiple ways in which Pinays/Pinxy ascribe meaning to their lives. This online archive encourages folks to engage in conversation, dare to ask questions, and listen deeply to the nuanced experiences of Pinays/Pinxys in the Bay. Through this archival collection of kwentuhan, we practice Pinayism by putting our Pinay identities at the forefront. In 2016 - 2018, Pinay Liminality collaborated with StoryCorps (SF Bay Area Chapter), to record 40-minute conversations which are archived in the Library of Congress. The edited audio clips on this site showcase snippets of Pinays telling their stories in their own voices. StoryCorps in the San Francisco Bay Area’s mission was to preserve and share humanity's stories in order to build connections between people and to create a more just and compassionate world. WE DIVA, DIWATA; OUR VOICES FOR REAL"
*We honor and celebrate the stories of all our community. The use of the 'X' in Pinxy or Filipinx is to represent those who identify within, across, and beyond the gender spectrum. "I am filipina skin, honey-dipped eyes, immigrant bones, and ancestor flesh. I am preservation, adaptation, and everything that comes next." "I wish [my parents] would be more comfortable with me being Filipino and not so focused on being American, so American that it hurts." "It's trying to unlearn all these things that my mom hasn't unlearned, what american standards are of beauty." "I begin to know what I know about being Pinay by learning my history because through that I get to know myself." "It's wanting to claim your roots, but you know you're more American. But America doesn't tell you that. You're an alien." "Personally, I don't know my ancestors, but in my heart, I know they fought the revolution"
Inspired by the poetics of Barbara Jane Reyes, Pinay Liminality hosts workshops that involve exploring the meaning of liminality, listening deeply, engaging in thoughtful conversation and collecting Filipinx narratives. 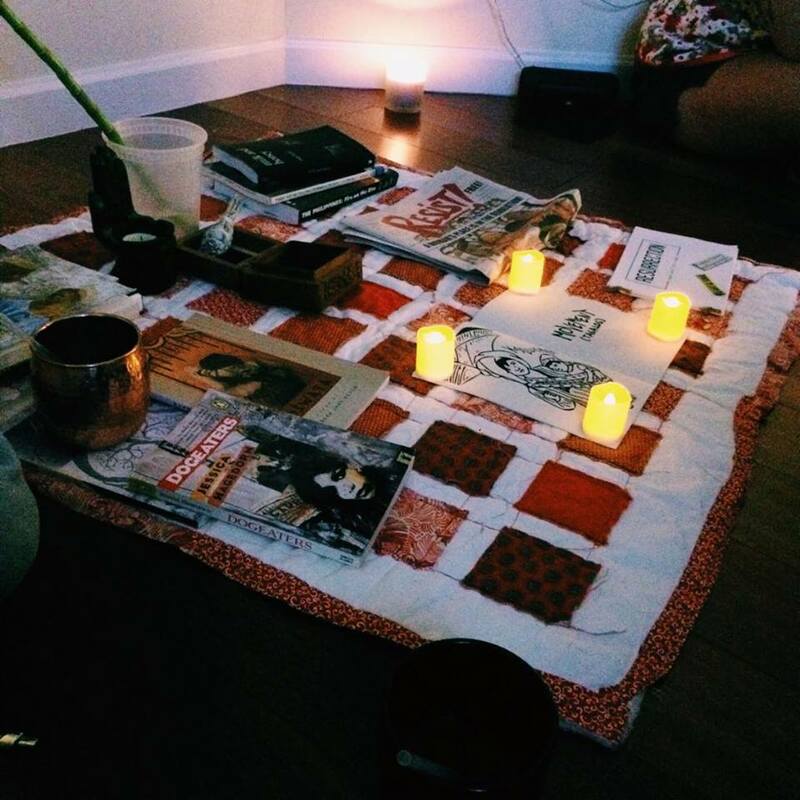 To host a workshop at your school, organization, or gathering, email us at pinayliminality@gmail.com. For a list of previous workshops, click here. 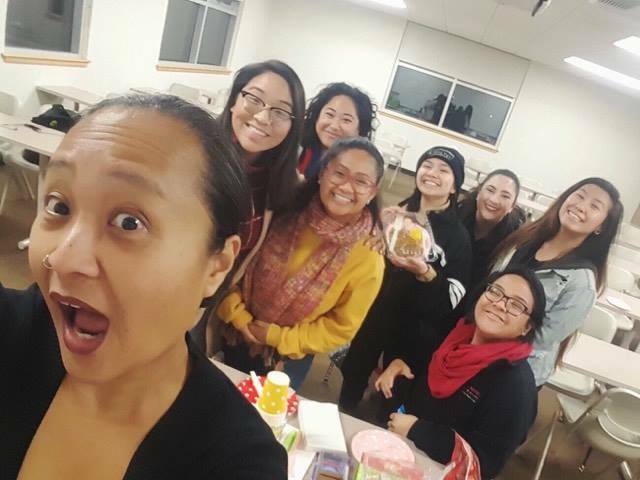 Influenced by the course, Filipina Literature at USF, Pinay Liminality is a byproduct of 6 Pinays coming together for kuwentuhan, to write poetry and create pinayist spaces. Clarisse B., Monika M., Bettina F., Czarina L., and Hope D.
This oral history project is organized by Christine Abiba, a fellow pinay whose commitment to understanding their self is almost as fervent for their love for dancing. Sign up with your email address to receive news and updates about Pinay Liminality’s upcoming projects.